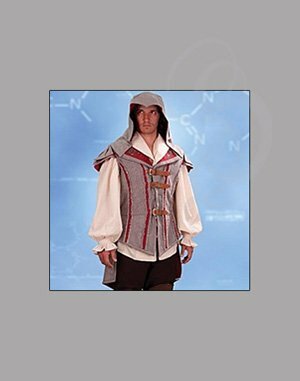 Assassin's Creed II: Ezio Doublet Large/Extra Large - this item is being discontinued and is priced to sell!! This grey and red hooded doublet from Assassin's Creed II is the heart of the Ezio ensemble. 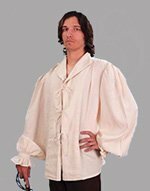 Made of cotton and polyester with leather buckles in front. Dry Clean Only. Choose from sizes S/M or L/XL.